In a mixing bowl, add the thalipeeth flour, chopped onions, chopped coriander, chilly powder, turmeric powder and salt. Mix everything using a spoon. Add a tsp of oil to the dough and knead. Take a plastic sheet and place it on flat surface. Apply a drop of oil on the plastic sheet. Take a small portion of dough and place it on a plastic sheet. Flatten the dough ball into a circle using your fingers. Make few holes on the thalipeeth. This helps in even cooking of thalipeeth. Heat a pan. 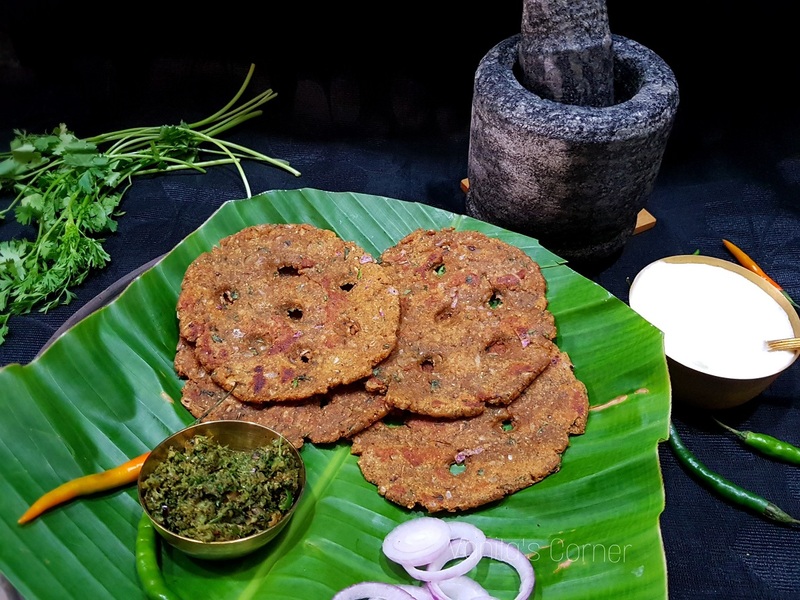 Place the thalipeeth on the pan. Drizzle some oil on the edges of the thalipeeth. Cook both the sides evenly. Serve hot with mirchi thecha and curds. I have used “Taste for Life” thalipeeth bhajani. Since the flour already contains other spices, I have only added turmeric powder and chilly powder. 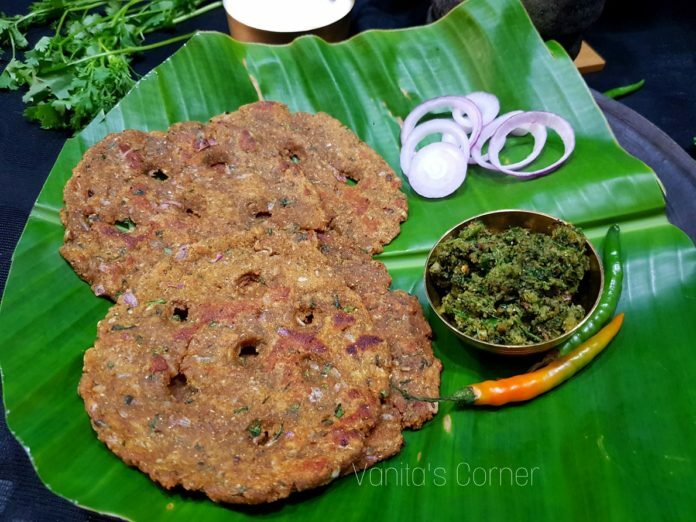 I have used an earthern pan/tava to cook the thalipeeth. When using earthen tava, add a teaspoon of oil on the tava and then heat the tava.